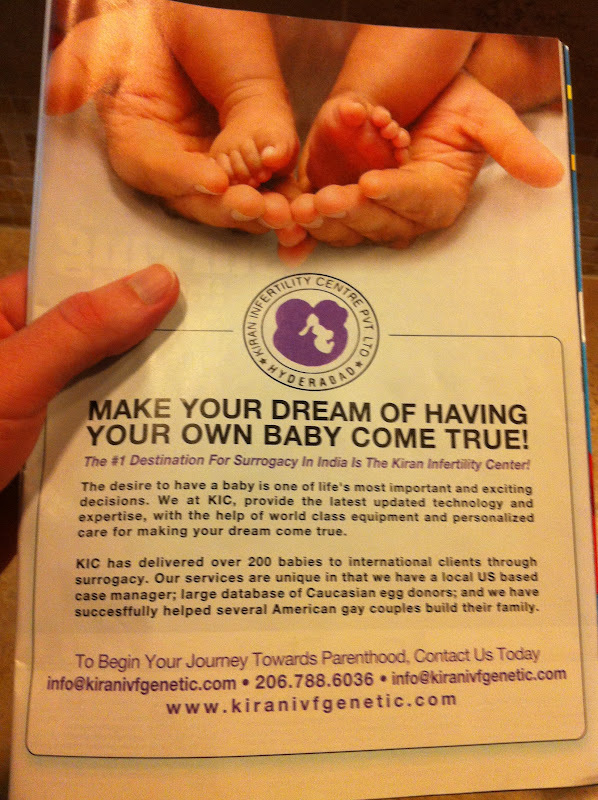 I came across this advertisement in my subscription copy of Advocate for the Kiran IVF Genetics fertility clinic in India. 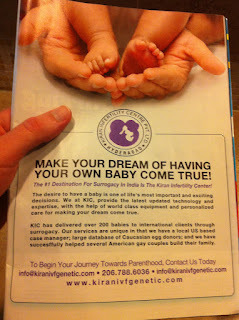 They have "affordable" surrogacy options, but I don't know what affordable means. This is on my radar, since we have friends that are using a United States surrogacy and the total price tag is expected to cost just under $100K. We are still debating surrogacy vs. adoption. The clock is ticking, because my husband will finish his MBA in two years...and then it's baby time!